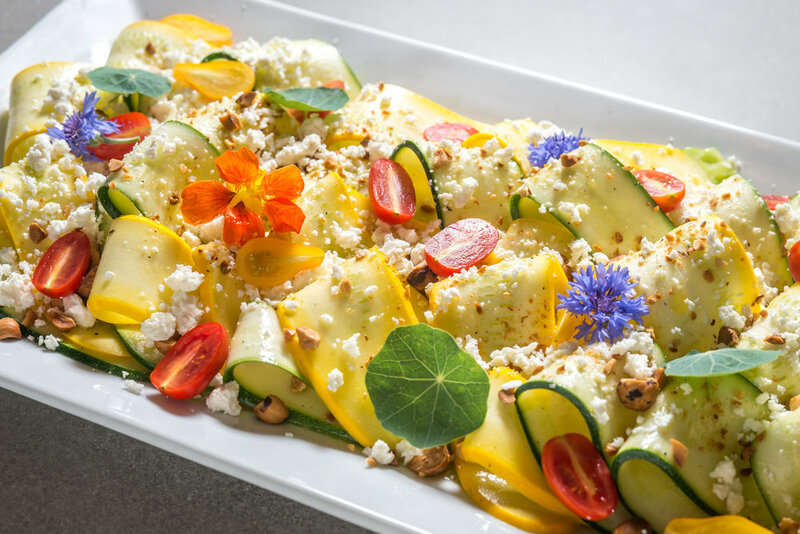 Saucy by Nature is a Brooklyn based caterer for people that want their events to feature food that is both creative and delicious as well as knowing they are working with a caterer with strict ethical food and business standards. Whether a drop off for a corporate lunch or a fully staffed dinner celebration we will guide you through the process of making sure the food leaves everyone impressed and well fed. Our menus are ingredient focused drawing inspiration from street and comfort foods from around the world. We believe in getting the best ingredients available and making everything from scratch. That means the freshest sustainably sourced seafood, grass fed beef, heritage pork, local veggies and fruits, and artisanal jams, confections and condiments. Our recipes are meant to highlight the incredible flavors of the ingredients and leave your guests full, satisfied and raving about the food. Our local focus doesn't end with sourcing ingredients; we work with local artisans and artists to provide the utmost craftsmanship while supporting our local economy. From our custom printed calligraphy menus that proudly display your menu, to our decorative food displays and team wardrobing - everything is crafted thoughtfully in signature Saucy style. We are here to make your next event easy. From impeccable service, to incredible food, to a design driven aesthetic, we take care of every detail and you can rest knowing you are our good and capable hands! Check out more reviews on EVENTWIRE. We will create a menu based on your preferences, budget and style of event including all staffing (cooks, waiters and bartenders). We can also provide a full range of rentals and help you with planning event details, timing and logistics.